How much, what brand, and even what style of pants does not matter as much as how well they fit you. Pants have more of an impact on how a guy looks than any other clothing item. Ill-fitting slacks will make you look bad no matter how nice and expensive your shirt or jacket are. When buying pants, make sure you try them on and that you can see what’s happening behind you. I have seen some horrific sights that I’m sure the offender never saw happening at the back. Here’s a guide on how to find the right size of of pants. 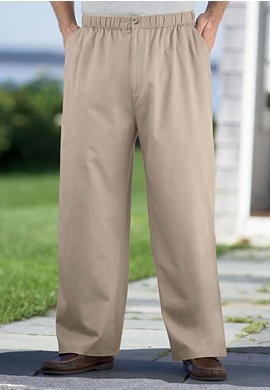 Most men’s pants are sized with two numbers: waist and inseam measurement, in that order. Measure your waist by wrapping a tape measure around your torso wherever you want your pants to fall. Keep a finger or two between the tape measure and you, so that you have a bit of breathing room and space to tuck your shirt in. If you’re going the classic and respectable route, measure at your proper waist, where your body creases when you lean to the side. Tip: find your belly button. That’s your waist level. 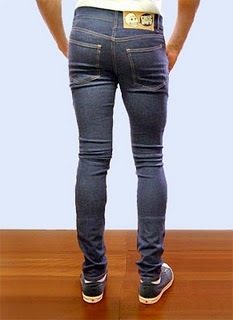 Younger and trendier men often wear their pants lower, along their hips. This is a riskier way to go, as you may show off parts of yourself intended for private use, but if it’s really where you want your pants to fall, use that measurement. A smart man will never leave his gut hanging out over his pants. Don’t give in to pride and insist that you wear the same size jean you wore in college–let go of your delusions and buy pants that fit. Measure your inseam by taking a tape measure up your leg (or letting someone else do it) and running it to where you want the crotch of your pants to lie. That height is your inseam. Make sure to measure along your leg and directly perpendicular to the floor on up. If you’re squeamish or wimpy about being measured, take the pair of pants that fit you best and measure the inseam (and waist) there. It’s just the seam that runs on the inside of the leg. Better to purchase pants that are a little too long, rather than a little too short. A tailor can shorten anything, but said tailor can make very few things longer. You should end up with dimensions, in inches, that look something like 30×32. That is your pant size. To get fancier, if you want to calculate the rise of your pants, it’s the distance from the crotch to the waist. It will dictate how high your pants sit. Many pants will come in low- ,medium- and high-rise options. If your pants are above your waist, that’s high rise, at your waist is medium and below your waist is low rise. pants cinched at the waits cannot look good on anyone. Don't even go there. Just say no! if I have to point out what's wrong with this picture, this blog is probably not for you. So thankful we don't have a frontal shot of this one. 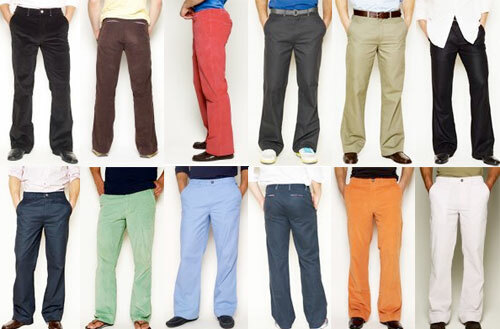 no matter the style or color, a well-fitted pair of pants will make you look much better. What’s your favorite pair of pants right now? Why? I picked up a pair of AXIS – LA pants at a Saks 5th Av. outlet store. They’re my favorite pair right now because they fit great, are very comfortable, were not expensive and they look good on. They look good because I followed your advice on previous Fashion Friday posts (no pleats). Keep these coming! 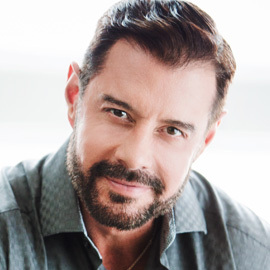 Steve, you are the poster boy of fashion transformation. You give Fashion Friday a reason to be. Ideally, a man would have no gut to hang out, but it seems that keeping it above the pants is better than keeping it below the belt, where the stomach with belt around the widest part tends to look like a giant barrel. Don’t you think? If the pants fit around the waist and don’t squeeze stuff up or down than the portly man has a better chance to look his best. That unsightly bulge you speak of is caused by the pushing of the fat downward with a belt. Ok. After this mental picture I’m having a smoothie for lunch. If the pants fit around the waist and don’t squeeze stuff up or down than the portly man has a better chance to look his best. That unsightly bulge you speak of is cause by the pushing of the fat downward with a belt.